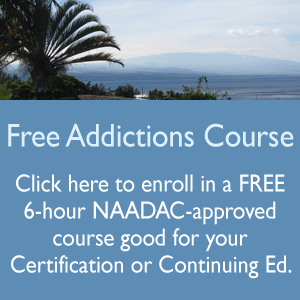 Please sample our FREE professional addictions course to get a feel for the high quality and extensive content of our course materials as designed by our director, Elizabeth Bush, MSN, APRN, CARN-AP, CSAC. If you wish to enroll in our face-to-face classes, please see Our Schedule. Click here to log-in to our online academy to purchase and enroll immediately. Additionally, every month we offer one course at 30% off. Click here to see the current sale. Retail Value is $300 — A Savings of $60! Click here for more details about the recertification package. After payment please email us and list which courses you would like to be enrolled in. In most cases we will be able to enroll you within 24 hours. Retail Value is $1125 — A Savings of $225!